Now that's more like it. Although it's not the first. It seemed amusing to list the firsts achieved today, the 1st of July, but actually I did quite a lot of them yesterday. Just humour me, alright? 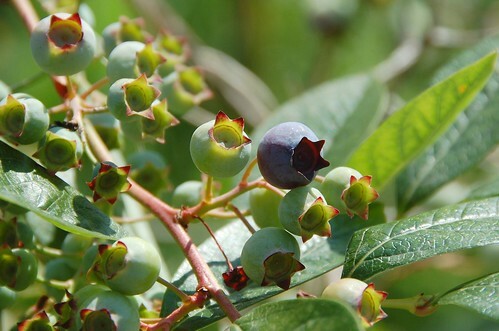 The blueberries have started to ripen which is just as well as the wild wood strawberries are pretty much over and I love being able to gather a handful of berries to have with my breakfast. Wild strawberries and blueberries are particularly useful for this as they ripen in stages extending the picking season for ages. Another fruity first for today, blackberries! Yes, it surprised me too but they're good and will be part of the forage from now on. I lifted the elephant garlic as it was beginning to get a bit rusty. Not quite the first as I sent one back to NP with Paul when he left, but never mind. The yield is doubled from last year and they look good. The best ones will be saved so that next year I can have 40 or so in the row. 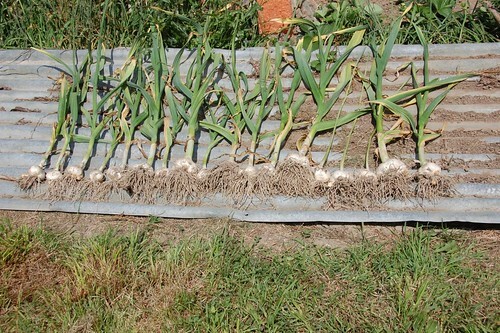 Then we can really have a garlic party! Other vegetable firsts (well, yesterday anyway) were the first carrot and the first pea pods taken as mange tout. There are some tiny french beans finally forming on the Annabel dwarf plants, the Ice Crystal Wax aren't far behind but both varieties have been held back by lack of water and it's still very dry now. 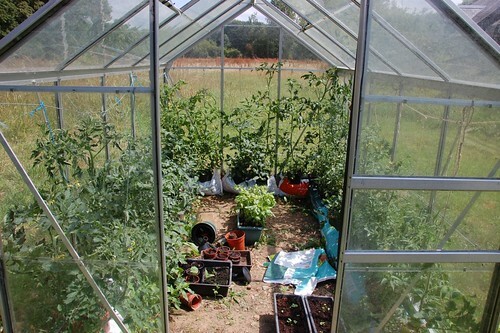 The greenhouse; the tomatoes are growing well and there is loads of basil. No tomatoes ready to pick yet though. 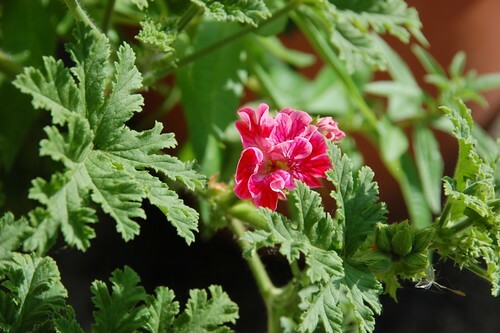 And below the first flowers on the scented leaf pelargonium. I bought this in France and it was described only as 'orange' scented which it is, if you wrinkle your nose enough. 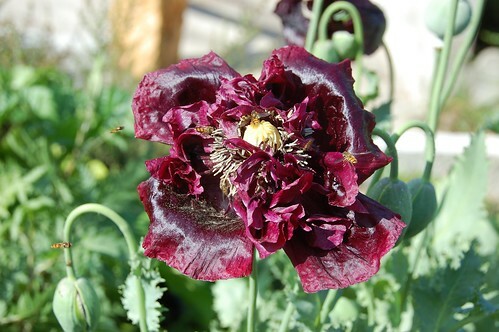 Anyway, I can't identify the variety from this flower so it will probably be a mystery forever.